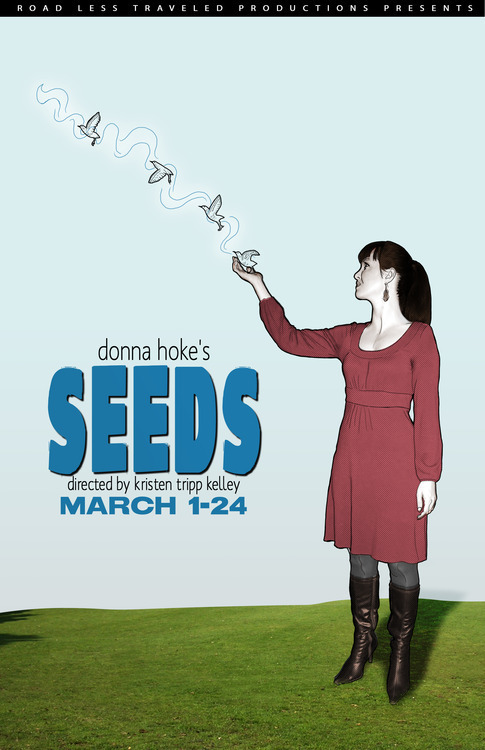 So this is the biggest news: the world premiere of Seeds begins March 1 at Road Less Traveled Theater. I’m so excited for this and I’m so impressed with the work of director Kristen Tripp Kelly, and cast Todd Benzin, Diane Curley, Kelly Jakiel, Pam Mangus, and Diane DiBernardo. Just amazing. My daughter has been interning as stage manager on the show, and it’s been so fun to be able to share this with her in her last year home before college. As luck usually has it, when it rains, it pours, and though February is usually a very slow month, this year, it’s crazy. Last weekend, I went to the opening of Barrington Stage’s 10×10 New Play Festival, and had a great time. We stayed in an old Victorian house, and the show was followed by a lovely reception, I was particularly pleased with the production of “You Haven’t Changed A Bit,” which received a top-notch review the next day. It was a fun diversion and a wonderful, friendly, and talented group of people. That same play opened Wednesday in Sydney, Australia—no word yet on how the performances are going. Back to Buffalo for more rehearsals, and Sunday, I’m headed to NYC for the Dramatists Guild regional rep meeting. Fortunately, there is some spare time for theater, and I’m thrilled to be able to see both Rajiv Joseph’s The North Pool and the world premiere of Annie Baker’s The Flick, and also meet up with some friends for drinks and meals. The play opens March 1, and March 4, I’m co-hosting a Dramatists Guild meeting in Ithaca with rep Aoise Stratford; we’ll repeat the meeting here on March 23 for WNY playwrights. And after that, I hope I can relax a little and enjoy the run of Seeds.